Have you even seen The Dixie Chicks in concert? Maybe you've met them? Then share your story! Even if that doesn't apply to you, how did you first hear about them?? Share your story for other fans to read about. Send them to cheerdanceluv@yahoo.com with the subject line "Fan Stories." Maybe you've taken a picture with them... If you did, you can send that to me too! I will post stories I receive on this page as soon as possible! 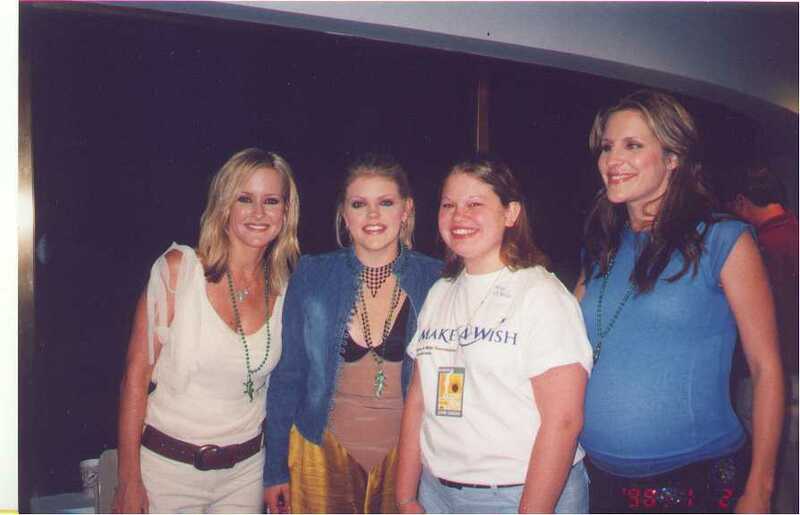 I met the Dixie Chicks in New York on the Today Show and got interviewed by Al R oker. I also met Natalies sister Kim, son Slade, makeup artist, Martie, Emily,and Emilys friend and Natalies aunt. It was awesome and they are soo sweet.